When space planning for your living room, it's particularly important that your furniture is arranged in a way that encourages conversation. Make sure your furnishings face each other to make conversation with multiple people easy. 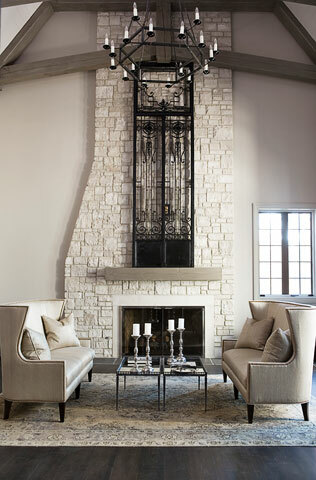 Also, consider centering your furnishings around a central focal point like a television or fireplace. 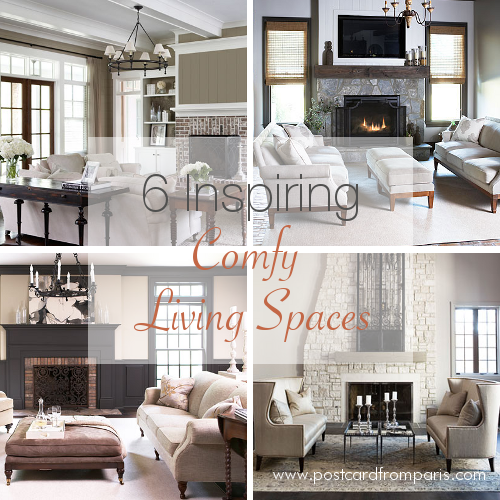 Consider the type of atmosphere you wish to create in your living space when you select furnishings. For a more laid back and casual atmosphere, select furniture pieces that focus more on comfort and durability. Fill the space with souvenirs from your travels or family pictures to create a 'lived-in' and casual feel. Vaulted or high ceilings have a tendency to make a space feel formal and cold. But choosing the appropriate lighting can warm up the space. Be sure to also anchor your living space with a rug as another way to make an otherwise formal space more comfortable and inviting. A comfortable living space also includes approachable furnishings. Instead of purchasing pieces that are meant to be looked at only and not touched, buy pieces that encourage use. For example, an ottoman or coffee table that can be used functionally for drinks or snacks is more relaxing than a piece that is merely for decoration. You want people to feel welcomed and not as if they walked into a museum. Fresh flowers are another way to make a space more approachable and personal. They have a calming and soothing effect, which helps make for a relaxing space. If you don't have the budget to maintain fresh flowers year round, opt for exquisite natural botanicals. 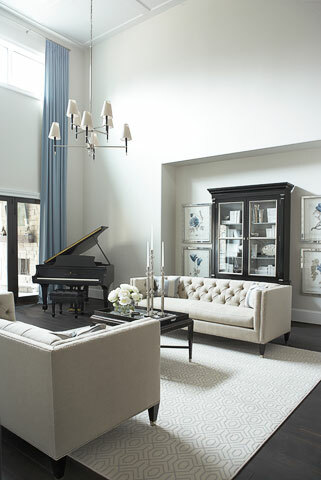 The use of accessories and the proper styling can make a space feel more inviting and comfortable as well. Coffee table accessories, wall art and antiques give the space character and make it feel complete. For those with musical talents, featuring your musical instrument of choice, such as a piano, creates a conversation starter and gives guests an insight into your interests. Which living space is most reflective of your style and personality? Like the look of this comfy living space? To see how you can get the look yourself, check out our designers' corner of our online boutique to learn about some of the furnishings and accessories you see.